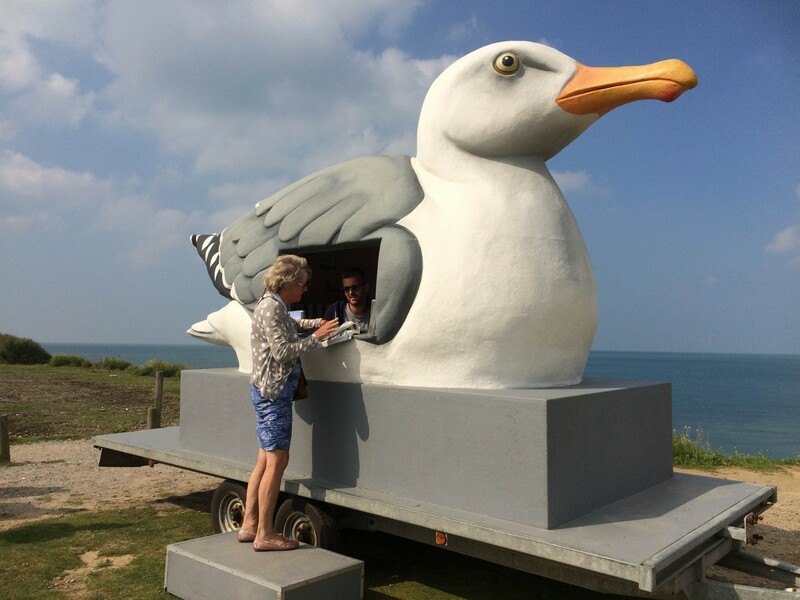 "Gulls are the most conspicuous non-human denizens of Folkestone", Mark Dion declared after his first site visit. 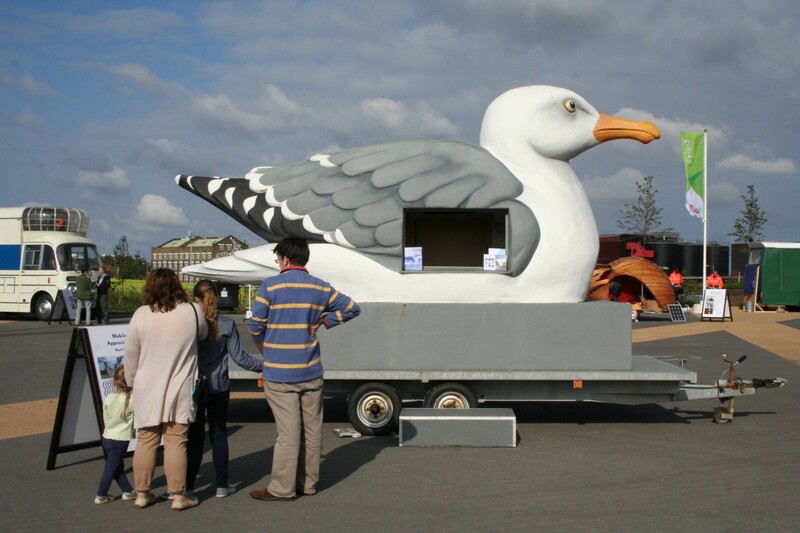 Dion's staffed mobile unit made in the shape of a seagull provided information about these often unloved birds. 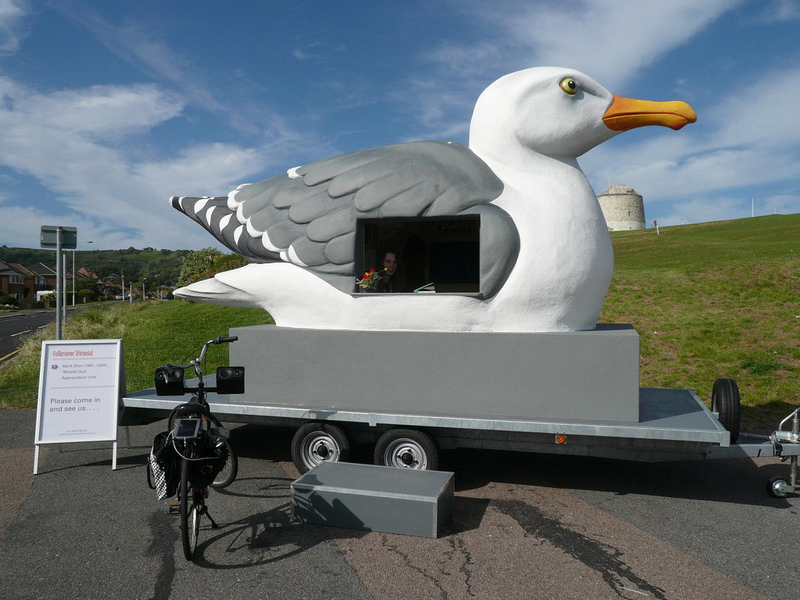 'The Mobile Gull Appreciation Unit' functions as a clearing house for information about the evolution, ethnology, natural history, environmental status and folklore of these remarkable animals'. 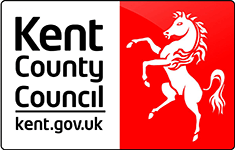 Folkestone is lucky to be host to a rather rare type of seagull - the Mediterranean Gull - which is found in larger numbers here than anywhere else in the UK. 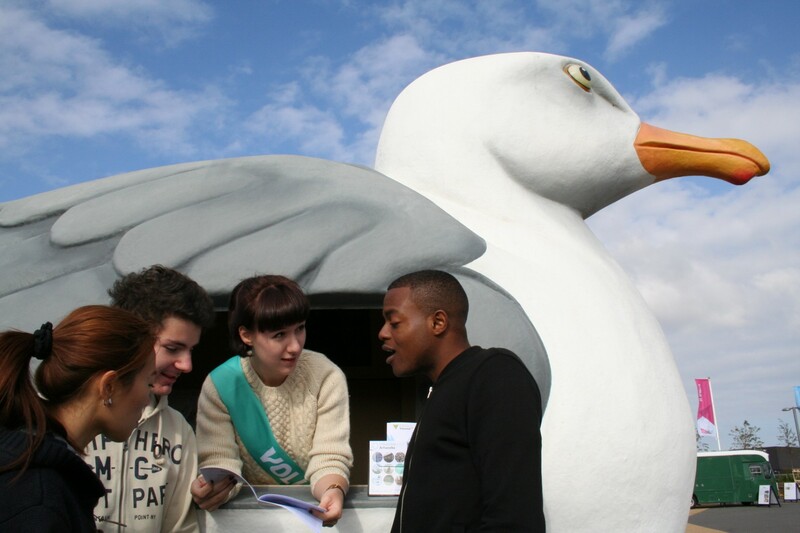 A Field Guide to the various local gull species, produced in collaboration with local gull enthusiasts was distributed from the Unit. Mark Dion’s artwork incorporates aspects of archaeology, ecology, detection, and systems of classification by which people have tried to bring order to the world. Dion was awarded the Larry Aldrich Foundation Award in 2001,The Joan Mitchell Foundation Award in 2006, and received an honorary Doctorate of Arts degree from the University of Hartford in 2003.